A row of stylish little brightly colored Christmas trees, each adorned with a colorful tree topper, line up happily across this style. The background is a nubbly, washed and dabbed vellum-like texture that creates an interesting depth in the design. 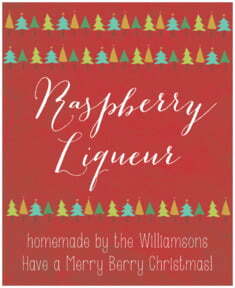 A relaxed scripted letter style says "Merry Christmas" with the supporting text that looks like hand printing in white. Enjoy your holidays and bring joy to your loved ones as well, with this adorable holiday style! 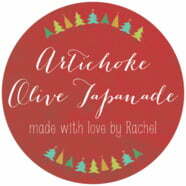 Customize your Christmas Tree christmas labels today! 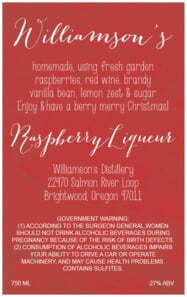 Christmas Tree Christmas labels are printed on your choice of coated paper or waterproof vinyl label stock. These self-adhesive labels print with fine detail and colors, and images are sharp. They are easy to apply. 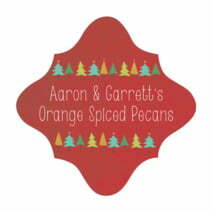 Select a desired shape and color above to begin customizing your Christmas Tree Christmas labels today!